At A Self Storage and our partners Access Self Storage, YOU are our number one priority. We are committed to providing you with a convenient and pleasurable experience. 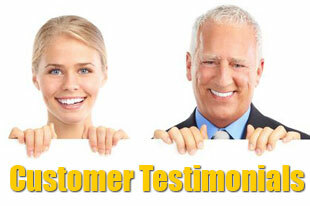 We are a family business and we like to treat our customers as part of it. With over 30 years in the business, we have the experience and know how to solve all of your storage problems. Our friendly staff is here to answer all of your questions and to ensure your experience with us is the best it can be. 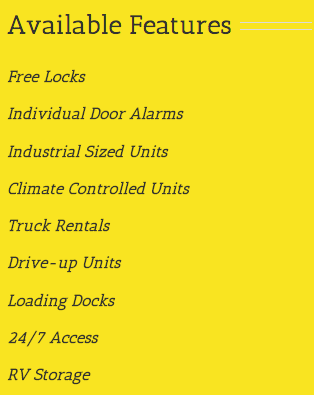 All of our storage units are individually alarmed and furnished with cut proof cylinder locks. In addition, all of our properties are well lit, have video surveillance, and keypad controlled gates. We have designed our storage centers so that you can reach your unit with maximum ease. This includes an abundance of drive up units, wide aisles, and extra elevators in multi-story buildings. Our goal is to satisfy your storage needs while saving you time, money, and stress. Because of this, we offer many services that you will not find at other storage facilities. Free move in truck*, free use of moving equipment, free door locks, and everything you could need for storage including boxes, bubble wrap, and even shelving are just a few of the things we offer. We care about our planet, so we try our best to limit our energy consumption. We have even installed solar electric systems on our facilities which reduce our CO2 emissions by over 25,000 tons per year. That is the equivalent of planting 600,000 trees! In addition, we use energy efficient LED and motion sense lighting. Our local communities are extremely important to us, so we do what we can to give back to them. This includes sponsoring local children’s sports teams and supporting various other charities.